A White Session with a birthday twist! A lot of people have been asking if we still actually offer our White Sessions. Yes, we do! 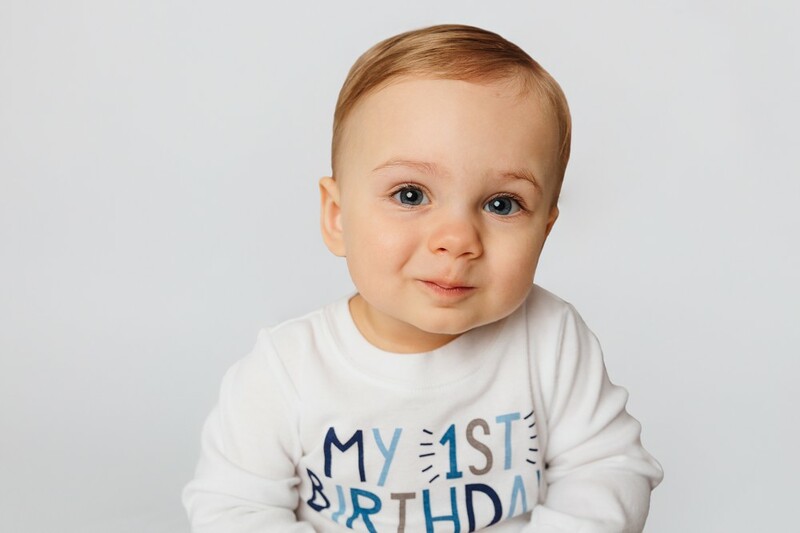 Our White Sessions are an ongoing offer that we do in our studio, and this mama wanted to book one for her son’s first birthday, so here the One Year Birthday White Session was born! We love the simplicity, the focus on the child, and the clean setting. Our White Sessions are never meant to include props, and it really helps to capture the child’s features and their personalities in this point in time. If you love these sessions, click here for the pricing and more information about the White Sessions. Happy birthday beautiful boy! We loved helping you celebrate.